XAOC Devices - Tallin has both and endlessly more in such a tiny space. 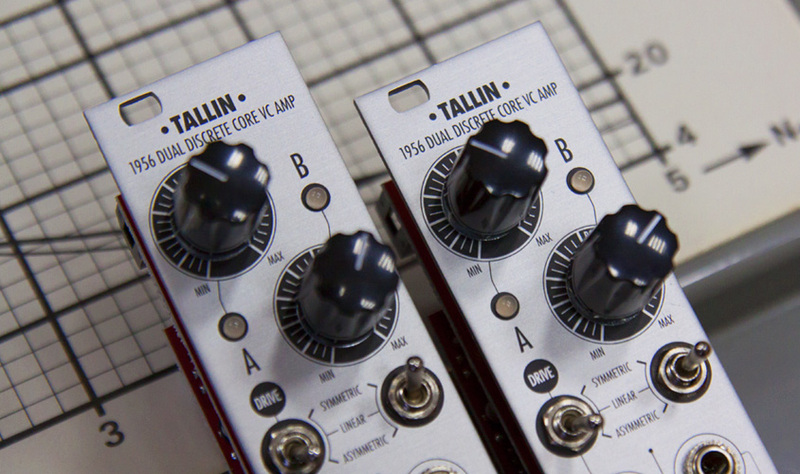 Tallin has enough gain - for both line-level, both for eurorack (CV or audio) levels. Some VCA's may have only one kind of response, resulting in amplitude shapes for audio or modulation signals. Also, it is great not to have the level knobs as attenuators of incoming CV signals, you can fine-tune everything both manually while the amplitudes are being modulated. 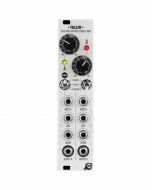 Ever wished you had a guitar amp distortion in your eurorack? Tallin has two kinds of it actually. Each one of you will find a distortion setup which is pleasing in a patch. 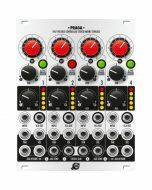 Having finalised their really fine-tuned VC mixer module Praga, we knew the system would not have been complete without this heavy-duty and multi-purpose tool.